Fantastic single family home for a growing family! This meticulously maintained home is a unique find offering almost 2, 000 sqft. of living space with a family & living room design, tall cathedral ceilings that give the home a wonderful open feel, elegant arched entryway into the main living area of the home, split bedroom floor plan, GORGEOUS Tuscany inspired tile flooring throughout (no carpet), an open concept kitchen with breakfast bar & breakfast nook, granite countertops, formal dining area, a screened rear lanai w/ the same tile flooring as inside the home, large laundry room w/ cabinets, 2-car garage and a fenced-in backyard that has plenty of room for a pool if desired. The 50 gallon hot water heater was just replaced in early 2019. 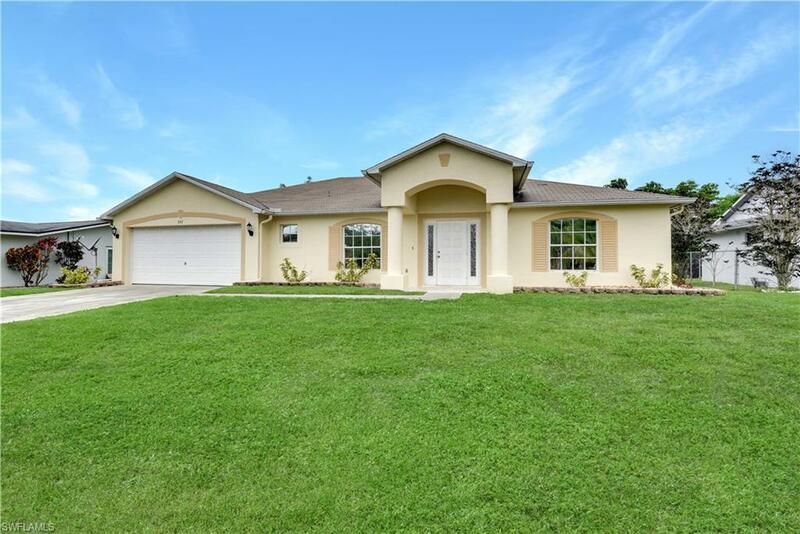 Situated in a non-gated, no HOA neighborhood w/ few restrictions, plus it has easy access to both the Midpoint Bridge & the South Cape Coral Bridge. All assessments have been paid!